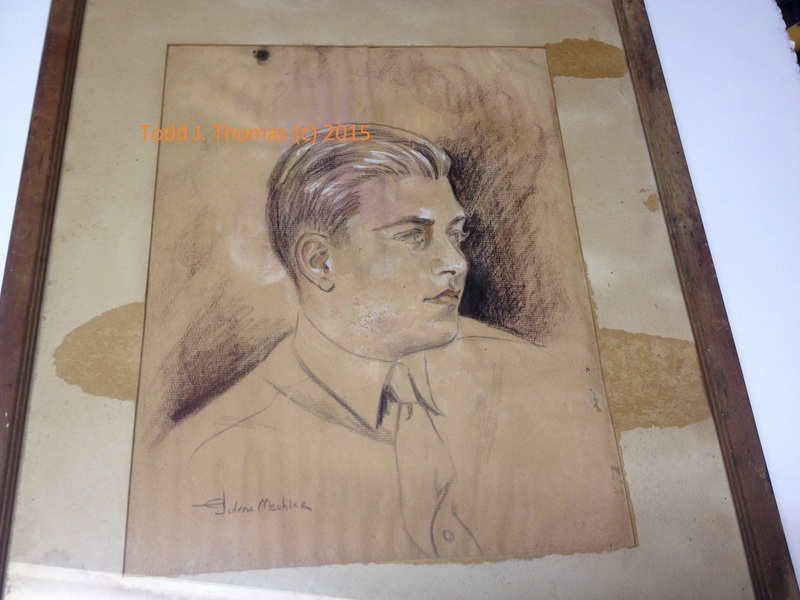 Featured here is a rare original oil pastel? 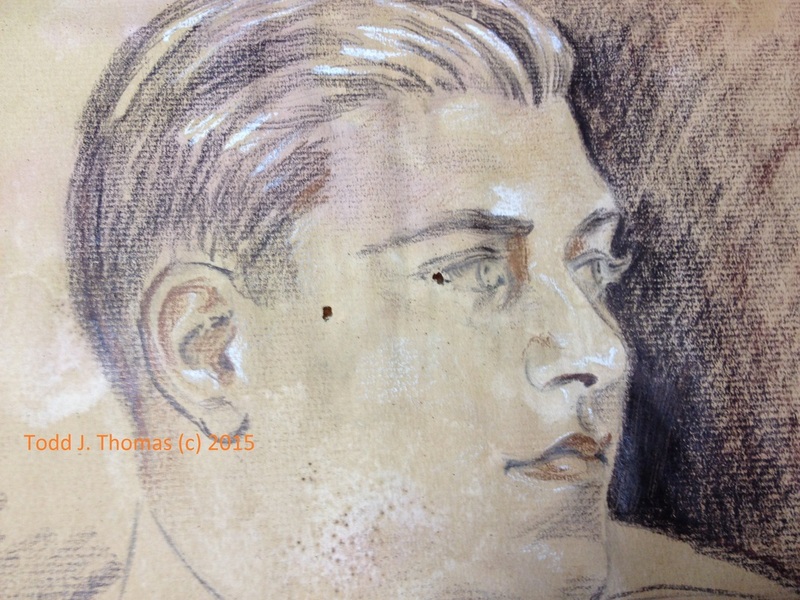 sketch by Julene Mechler of Hawaii. She was a Hawaiian Ceramist Artist, known for her very collectible hand-painted porcelain Hawaiian figures. Most were marked "Ceramics by Julene of Honolulu". 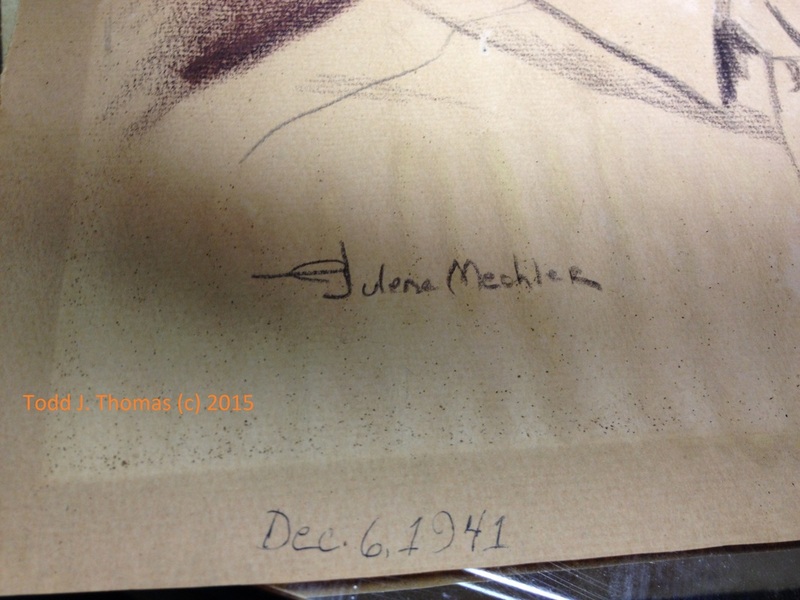 It is extremely rare to find any sketches or drawings by Mechler or anything signed with her full first and last name. 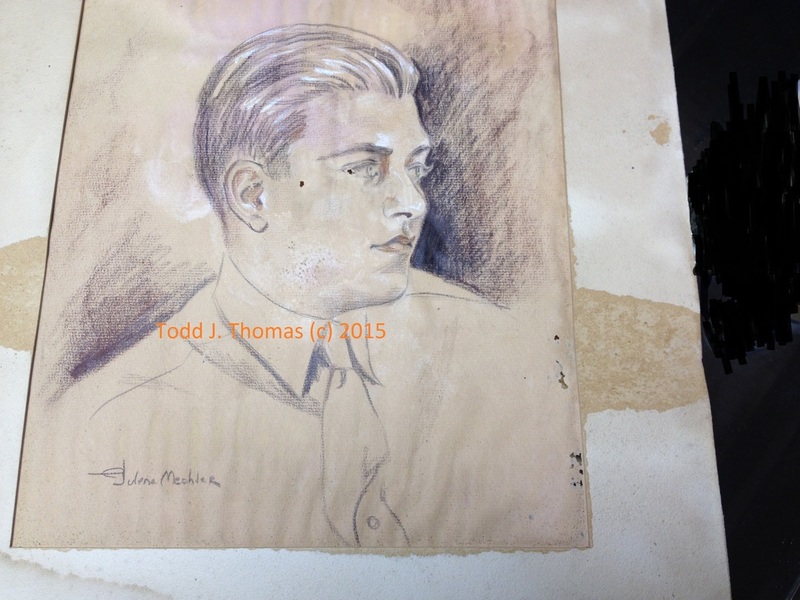 The subject of this sketch appears to be a young World War II US soldier, as apparent by the way his tie is tucked into his shirt. 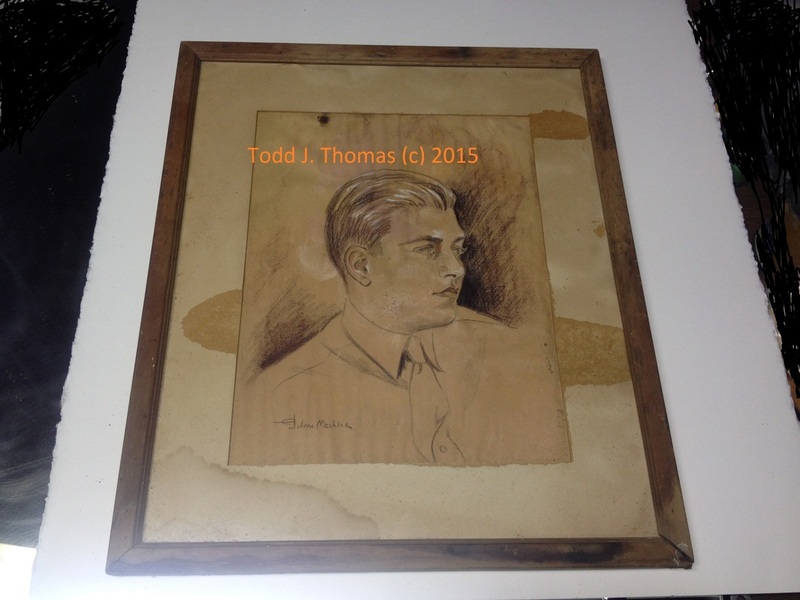 When the picture was removed from the frame and the mat was lifted, the date Dec. 6, 1941 can be seen. 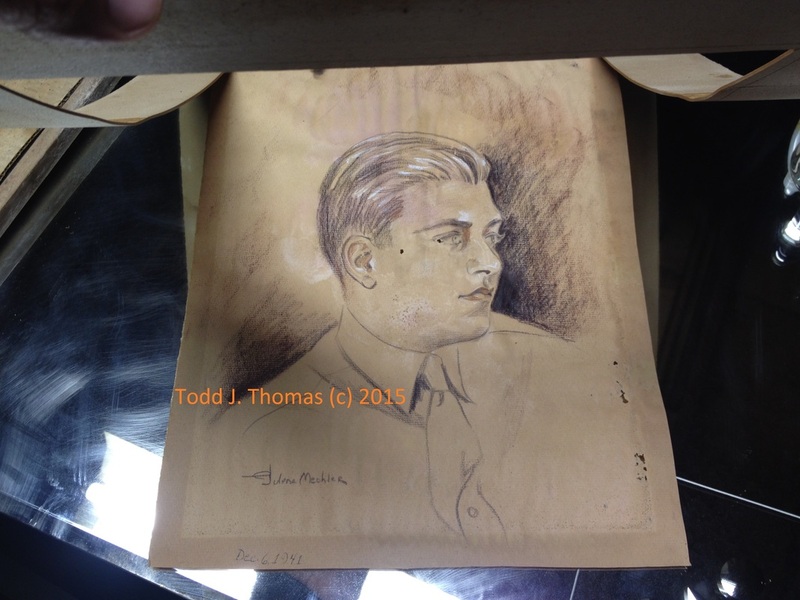 It's kind of spooky; a US soldier sketched on Dec. 6, 1941 in Hawaii, the day before the Japanese bombed Pearl Harbor. 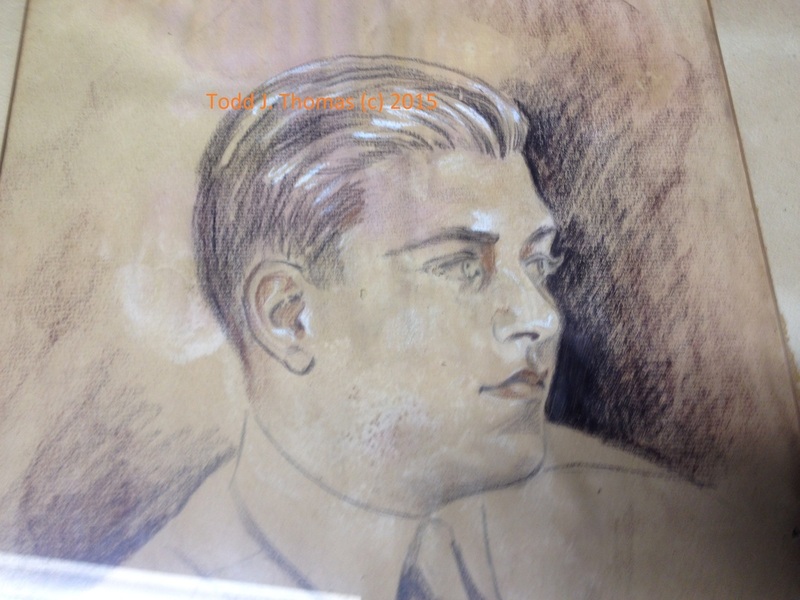 Was this soldier stationed at Pearl Harbor? Was he a casualty? 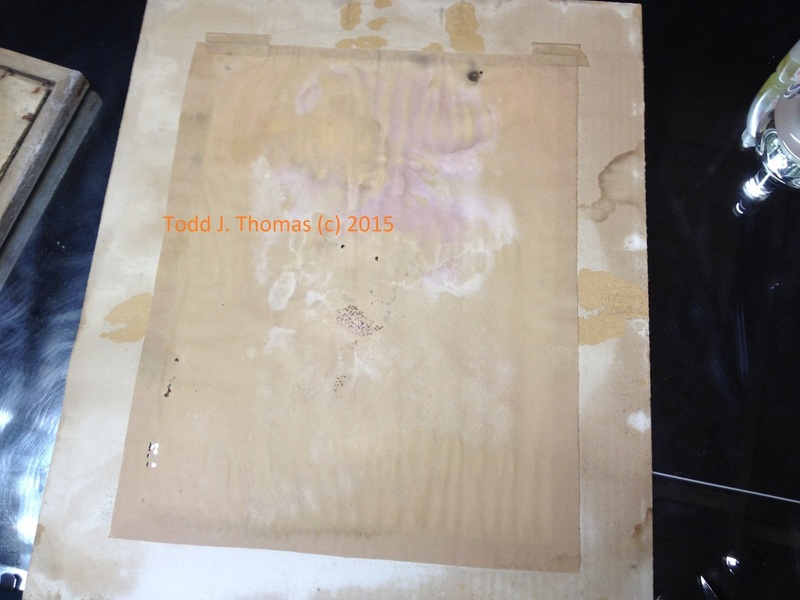 There is considerable degradation to the paper. 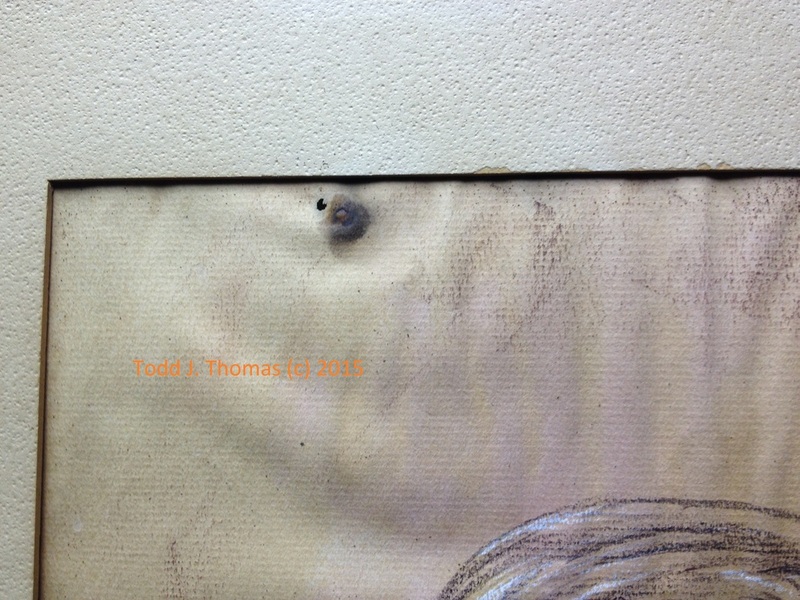 Several holes can be seen as well as staining and wrinkling. 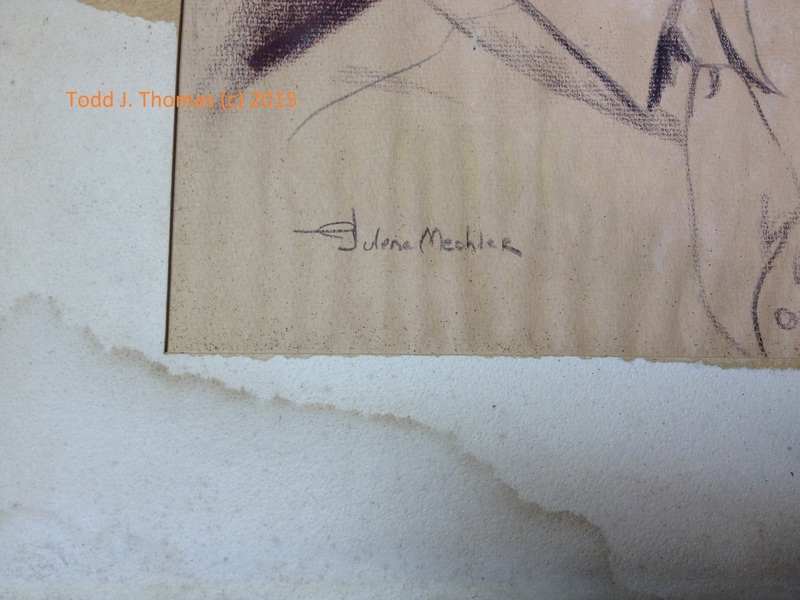 The actual sketch paper measures 11"x14". Condition is always a factor to a collector, when there are more than one to choose from. 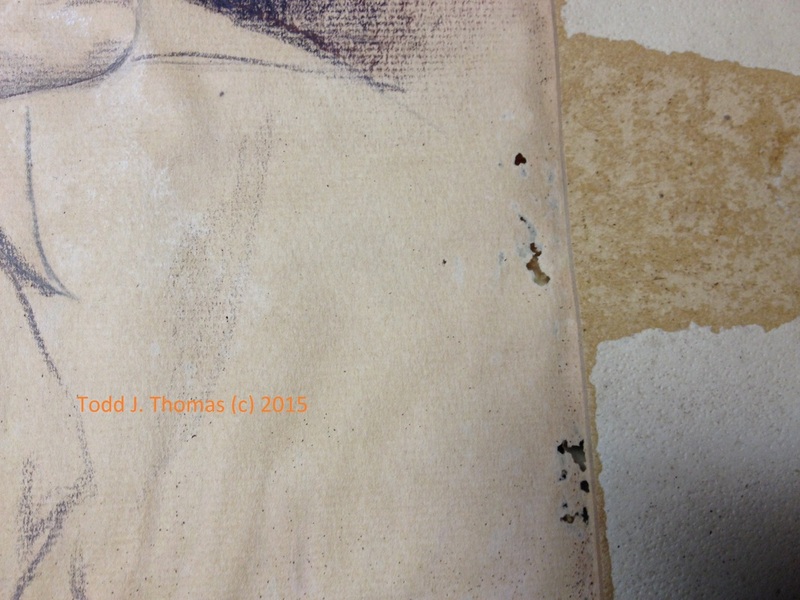 Originals on the other hand, are to be taken any way you can get them. 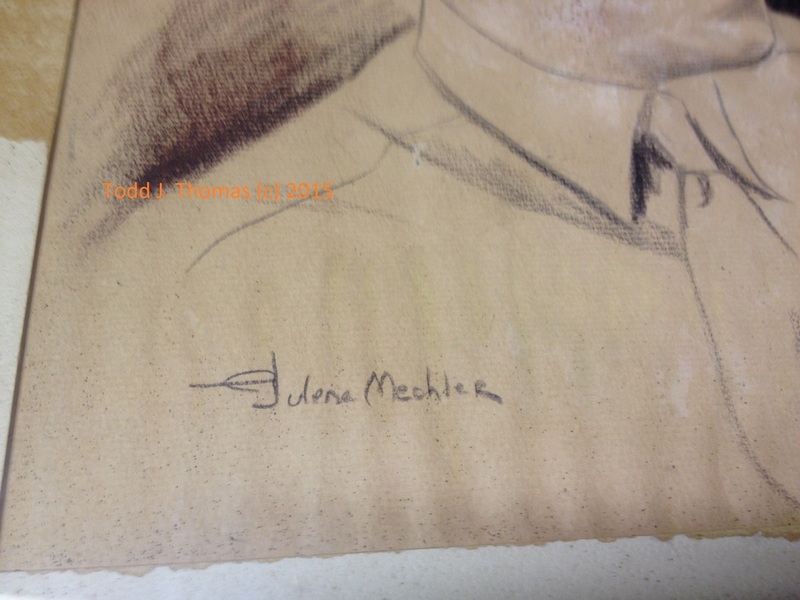 This rare Julene Mechler sketch would adorn any wall above a curio collection of her figurines. 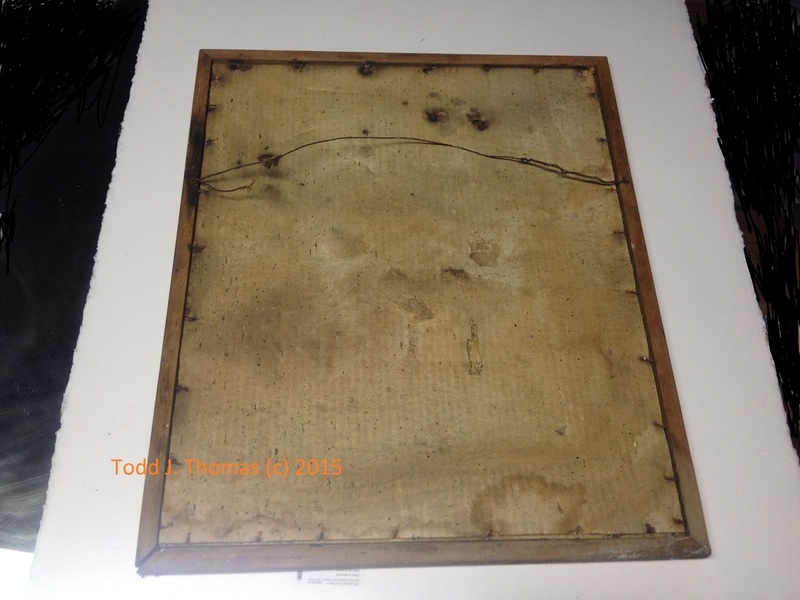 $3,200.00 - Prices may be negotiable. Please use the contact form and be patient.